Today we went to visit the new Museum of Natural Curiosity at Thanksgiving Point. 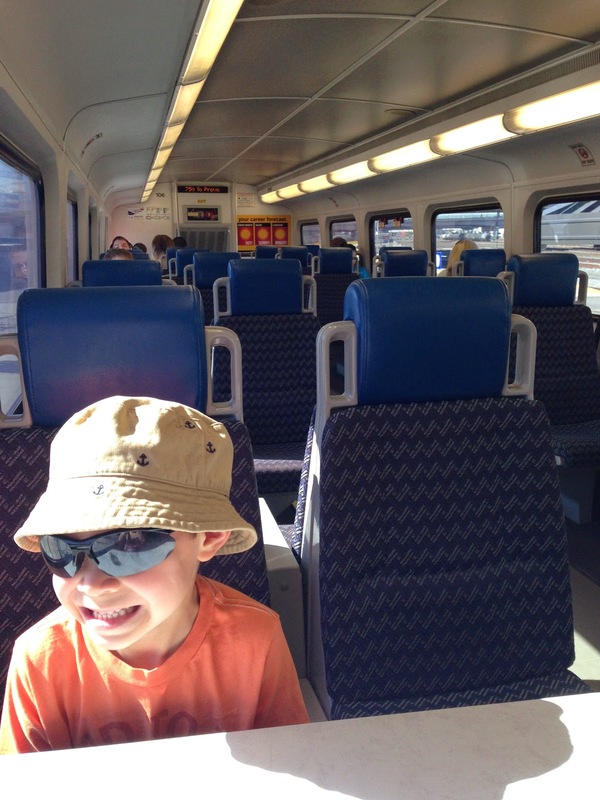 To make it even more of an Adventure, we took the Frontrunner train from Salt Lake to Lehi to the museum. I’ve mentioned the Frontrunner train on this blog before, when I mentioned taking it to the Treehouse Museum in Ogden. I have been a frequent traveler on many public transport systems while living in Chicago, Boston and Washington, D.C. but I have never encountered a more pleasant commuter train ride than the Frontrunner here in SLC. It is always exactly on time, pristinely clean, and never crowded. You can take it as north as Ogden and south as Provo. We’ve ridden the entire line and I’m so glad it is an option. Anyway, kids 6 and under are free, and adults can buy a group pass that pays for itself if you have 2 adults riding roundtrip. 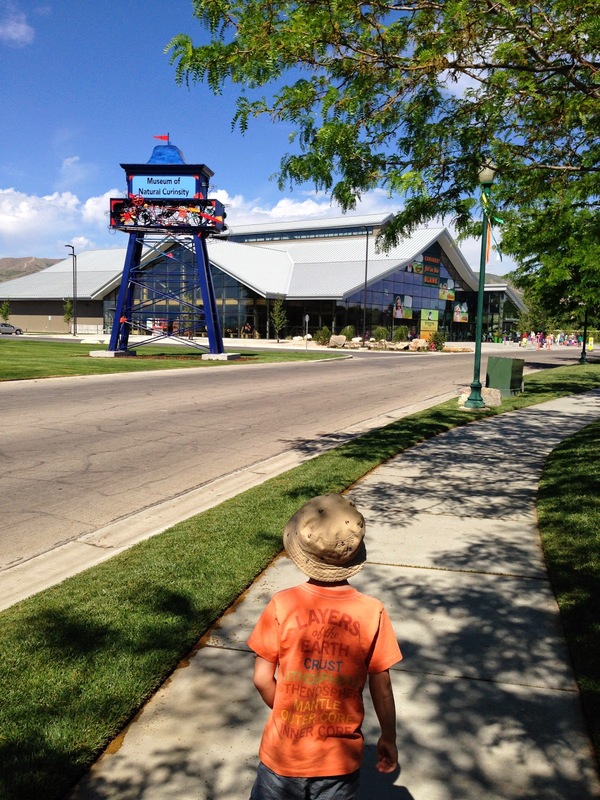 When we arrived in Lehi, we had to walk about 1 mile from the train station to the museum itself. It was a scenic walk along a golf course for most of the way, with sidewalks available. Once you reach Thanksgiving Point itself, there is a stretch of road into the museum where there aren’t any sidewalks so we had to walk carefully along the side of the street. It is still paved, so a stroller would be doable, but I was surprised that they wouldn’t provide a sidewalk along the main thoroughfare into the children’s museum. It’s in sight! We made it! The museum only opened a few weeks ago, and even on a weekday morning, it was very crowded. Like wait-outside-in-a-line-just-to-get-in crowded. I’m used to doing that going into a concert or something like that but to have restless kids involved is not as much fun. We eventually made it inside and took a look around! 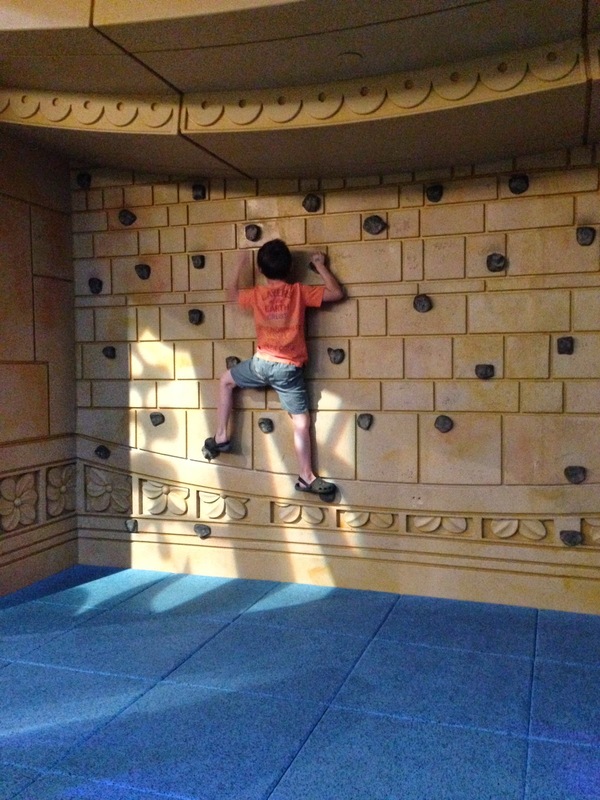 We hit up every area of the museum with the exception of the high ropes course, which was an additional fee. Everything was bright and new but nothing really jumped out at me as exceptional, or unique to the museum. 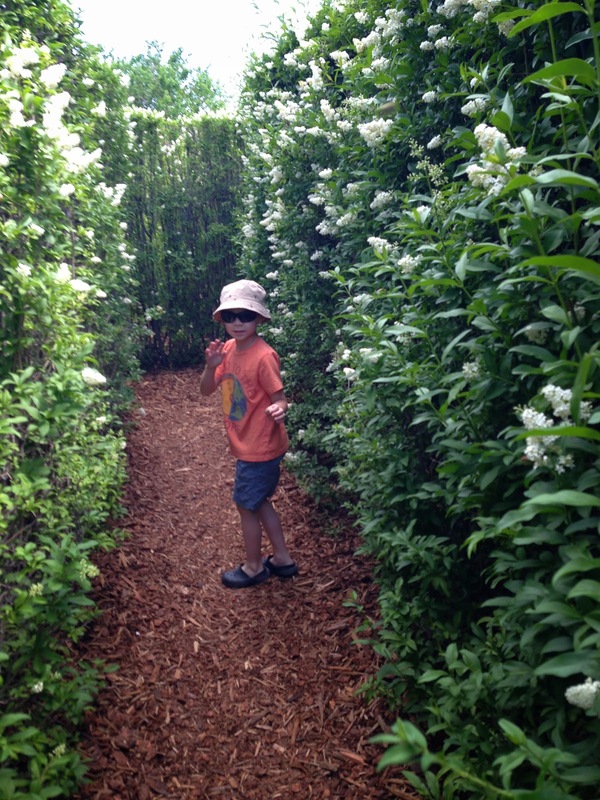 In fact, one of our favorite parts was going into the Children’s Discovery Garden (which they thoughtfully planned to be connected to the museum). I tend to think the most impressive part of Thanksgiving Point is still the outdoor gardens. 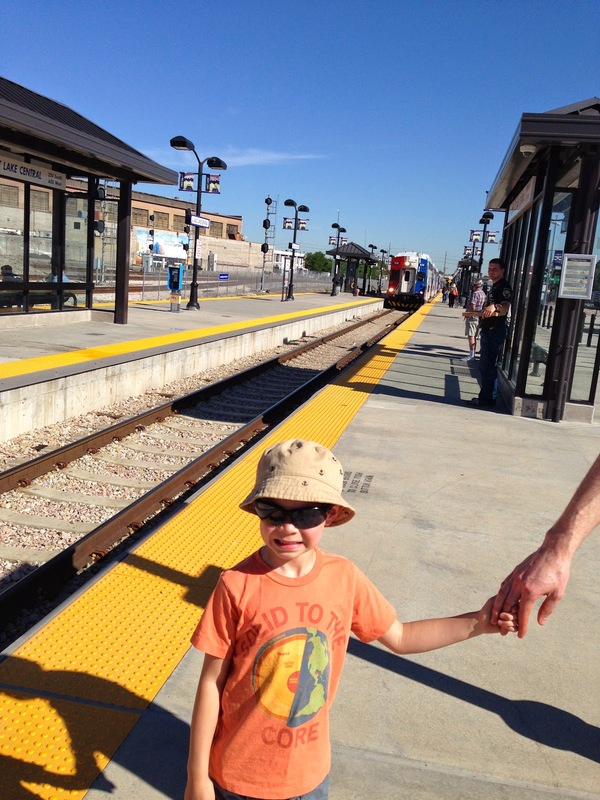 Overall, it was an enjoyable day trip since we involved the fun of taking the train back and forth, but it probably won’t be a very frequent destination since it’s pretty far away for what it is and about double the price of the children’s museum we have close to home. But I’m always glad to see more infrastructure being built for children and families and I’m sure it is a welcome addition to the Utah county area.